At the time I really didn't know what this meant! I had just started reading Marvel, the very first Fantastic Four issue I read had art by John Romita! Of course I was reading some Kirby material in reprint books like Marvel's Greatest Comics. But there was no Internet. 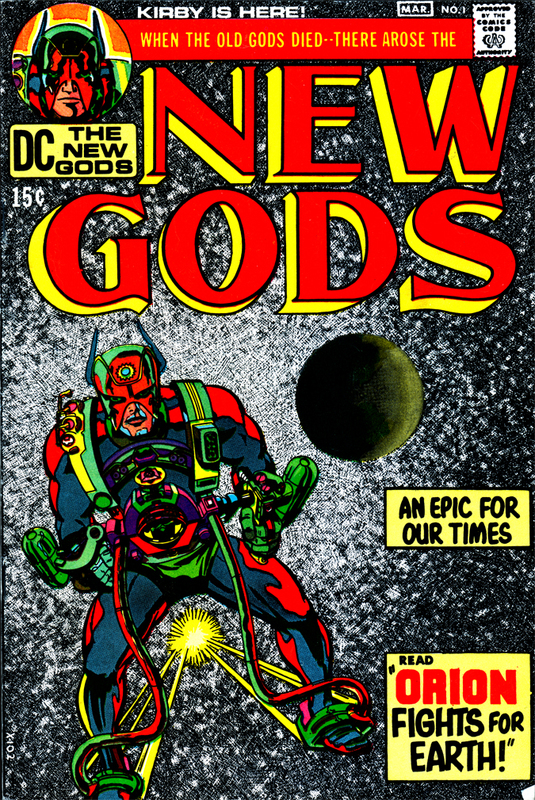 It was way before I knew about fanzines or could subscribe to The Comic Reader. You know what my first thought was? This ad was promoting a religious line of comics! The Great One. 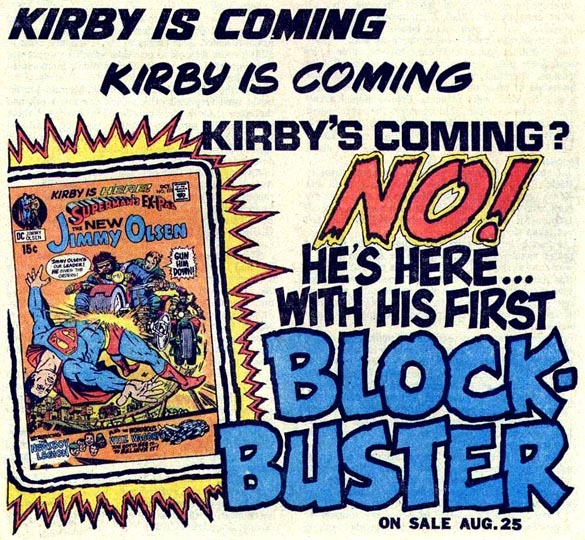 But later we did see that it was indeed Jack "King" Kirby and he was taking over, of all the DC Comics in the world - Jimmy Olsen! That was later in 1970. As terrific as Jimmy Olsen was - we still had no idea what a Boom Tube was. 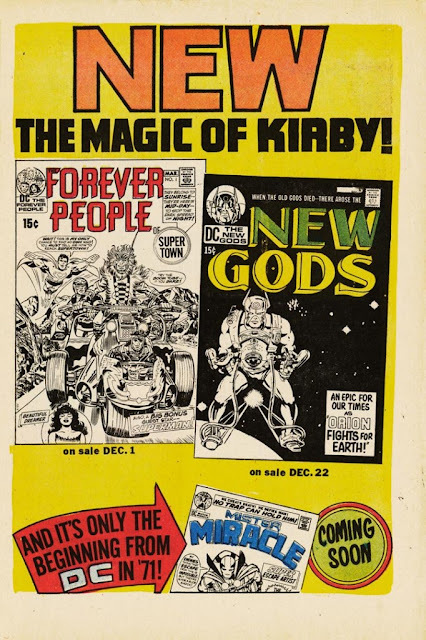 Late in the fall of 1970 we probably saw this house ad, advertising the first 3 titles in the Fourth World series: New Gods and Forever People in late December followed by Mister Miracle later in 1971. I never was able to find Forever People #1 on the newsstands! I searched and searched, too, because it had Superman on the cover. But I was unable to read that until many years later. 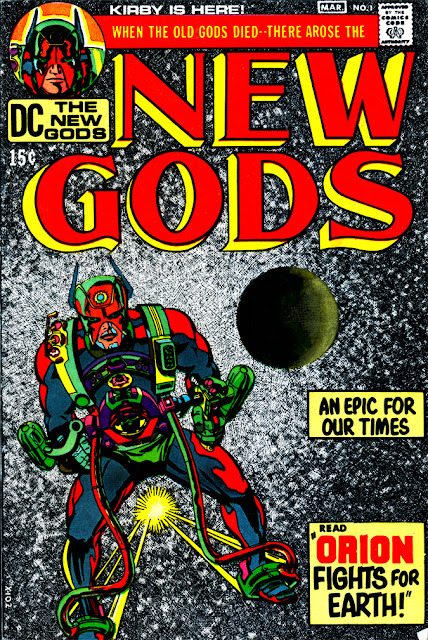 I did buy New Gods #1 as soon as I saw it. The cover was amazing...even this photo does not do it justice. It was like no other comics cover I had ever seen before. The work inside was amazing and promised to unfold an even bigger epic in the months ahead. The King had arrived at DC Comics! We hoped he would reign for a decade or more, but alas, it was meant to be a short tenure. But even during that period of 4-5 years he created some of the most amazing characters and concepts that is surely about to propel DC's new Justice League movie.